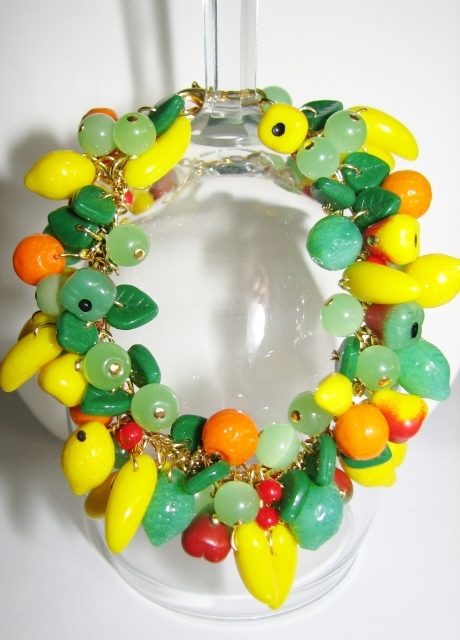 HEAVILY beaded Julia Bristow fruit bracelet! 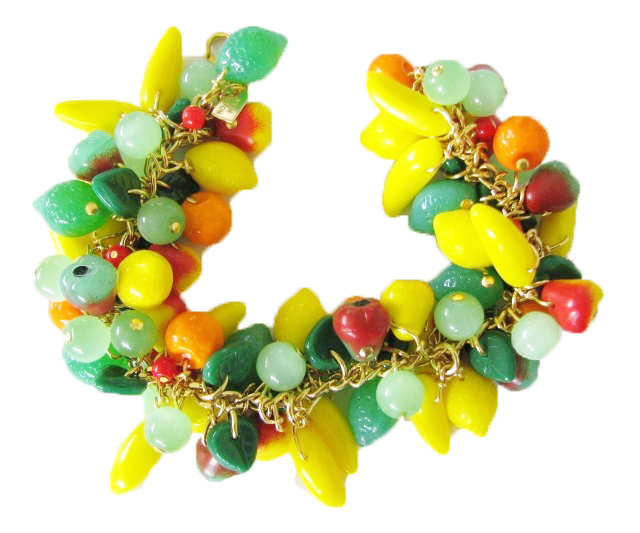 This fruit bracelet is loaded with various glass fruit beads and light green serpentine gemstone beads: Mix of cherries, bananas, oranges, pears, limes, lemons and leaves on gold-plated chain, signed Julia Bristow. Made at time of order with light green serpentine or aventurine gemstone beads (light green beads shown in picture are glass). (Please note item shown is example and your piece will vary slightly as each is a one-of-a-kind creation made at time of order.) Please allow four weeks for delivery.